Saxy Mr. S. is a rising star. Looks, talent and energy describe him best when he is rocking your party. Having played all over the world he knows how to interact with a crowd and adapt to any kind of atmosphere. 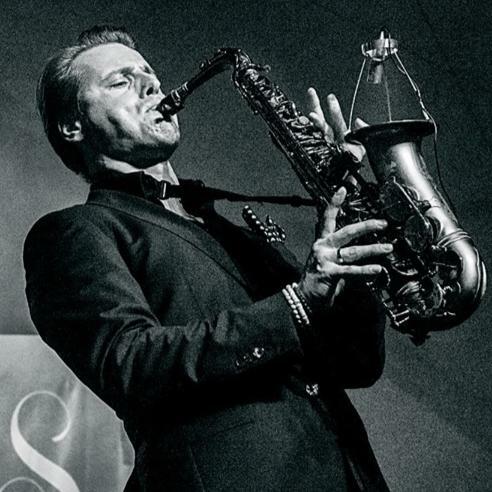 Where other saxophonists fail to deliver at minimal, eclectic or electro parties, Saxy Mr. S. loves it. Playing familiar old house tunes together with funky licks and sweet solo’s this youngster hypes up the place. Saxy (for friends), is not afraid of the spot light and his appearance matches the international variety of clubs and parties he played at. Saxy played with/for David Guetta, Martin Solveig, Bob Sinclar, Hedkandi, Candy Dulfer, Marco Borsato, Adele, Craig David, Paris Hilton, Leonardo DiCaprio and many more. Some of the venues he played at: LAX (Hollywood), Nikki Beach (Marakech, Marbella, Miami), Shag (Hollywood), Le Baoli (Cannes), L’étoile (Paris), Queen (Paris), Jimmy Woo (Amsterdam), Room (Bejing), Blue Marlin (Ibiza), Pacha (Ibiza, Vilnius, New York, Madrid) and so one. More info: info@saxymrs.com, www.saxymrs.com, his facebook page or watch the Official Movie trailer.